This year Mr. Boo and I will have been together for 17 years. Whilst we were still dating Valentine’s Day was one of the days we showed how much we loved each other. Now that we are coming up for our 13th wedding anniversary we opt to celebrate on that date instead. 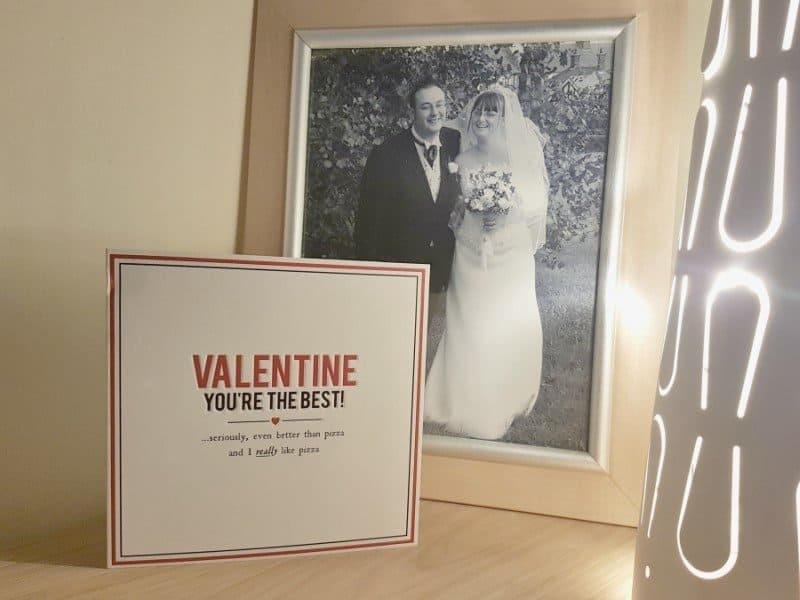 We still mark the day with a card and maybe a small gift, however, Valentine’s Day feels as though it is for those looking for love or just found new love. We are very much past the honeymoon period in our relationship. We’ve had our ups and downs like any couple, but there is nobody on this earth who understands me as well as he does. I don’t even have to speak sometimes and he knows what I am thinking. Anyone who knows me will tell you that I adore pizza and given the opportunity, I would always choose a pizza. So for me, for us, this card is perfect….